Mallard duck female and her little ducklings, swimming on water and feeding sea weed. Closeup of wildlife in slow motion. Bird family in full HD footage 1920x1080. Natural beauty of animal kids. hd00:40Close up slow motion of duck family, feeding on shallow water. 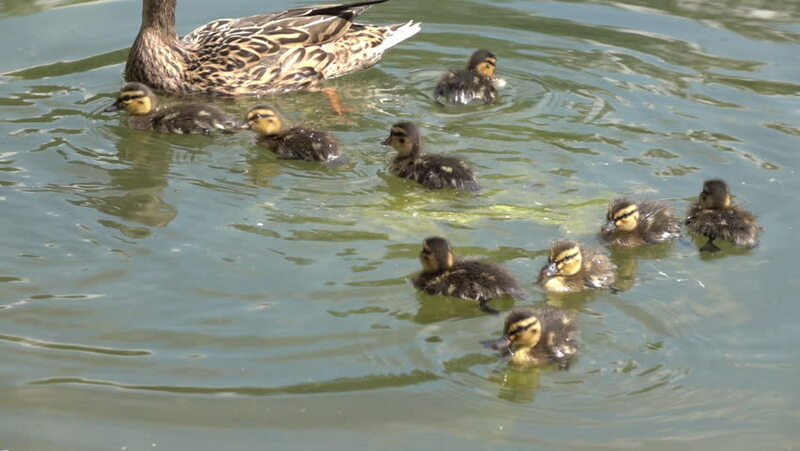 Little ducklings and mother in natural scene of wildlife in full HD 1920x1080 clip. Charm of cute and cuddly birds. hd00:07crocodile and zebras cross the river side by side. sd00:06A pair of Northern Shovelers feeding in a lake. Converted to NTSC from HDV 1080i60. 4k00:14Single crocodile floating in water. Alligator floats just above the water. American Alligator - Alligator mississippiensis. Slow motion.